· Affordable Basement Waterproofing – Welcome Laura Gratton and Michael Garvey. · Alibi’s Bar and Grill – Congratulations to Maureen Ford on her one year anniversary! And other networking opportunities included a mixer at Primo Pasta which also raised money for the PBA Scholarship Fund, and the annual golf tournament at Compass Pointe. So as you can see, the PBA provides great opportunities for our businesses to get out and mix and mingle and to get great value out of the investment you make in your membership. As with all of the other investments we make into our businesses, the more effort you put into it, the better results you will get out of it. So take a look at the upcoming events and get yourself out to an event or better yet, ask to be a part of the event as we always welcome folks who are willing to help make our events bigger and better for everyone. So I’ll see you out there! The 20th Annual Caring & Sharing Parade is November 1st at 2 PM so start getting those floats ready. Watch the website for parade registration forms. Check out the Thanksgiving Parade page for information on this annual event. We collect food during this parade to supply our local church food pantries so please help with this effort. PBA, to PO Box 871, Pasadena, MD, 21123. Devoted to every detail of your future investment in basement waterproofing, crawlspace encapsulation, mold remediation and foundation repair needs! 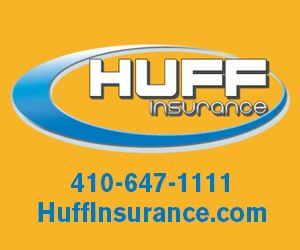 Sponsored by Huff Insurance. Planet of the Vapes specializes in electronic cigarettes (vapes) and helping people quit their tobacco habit for good. Fast Care, operated by AAMC are walk in health clinics. Visit their newest location at the Pasadena Giant Food Store. Have you registered yet? The 12th Annual PBA Golf Tournament will be held at Compass Pointe on September 23. Sponsorship opportunities are available; view the Golf Tournament page for details. Build brand recognition while giving toward a worthy cause. All proceeds from the golf tournament go toward community assistance to help with the annual tree lighting ceremony, A Child's Christmas, the Caring & Sharing Thanksgiving Parade, the Veteran's Day Ceremony, and more. Come out and have some fun! As Fall is upon us and the warm summer days are slowly turning into cool breezes and even cooler nights, there are still many activities happening throughout our community. Golf tournament, Annual Trade Show, and Harvest for the Hungry Parade are just a few of the upcoming PBA events. Be sure to check the Events Page and post on your calendar all our future community gatherings. I truly believe the Pasadena Business Association, with all its wonderful members, is what gives Pasadena its warm down-home feel. Pasadena is the place I am very proud to work, live and, most importantly, raise my children. The business community gives back to our families by supporting scholarships, sports leagues and events the PBA sponsors. We can show appreciation by supporting our area businesses and shop locally. Take notice of the advertising signs as you are out and about and see for yourself the community support. We depend on these businesses as much as they depend on all of us. I truly hope to see everyone at our upcoming events. As always PBA wants to reach out to the community and hear your voice. If you have any questions or comments, please do not hesitate to stop me and ask. Please remember in your prayers the hardworking people serving this country, home and abroad.